Fellows Creek Golf Club and Banquet Center will be trying its darndest to infiltrate your schedule at least once a month in 2018. 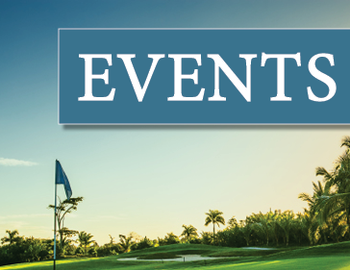 Golf events and brunches fill our calendar, and we’d love to see you at as much as possible. Our goal is to give you something fun to do, to execute it well, and make you want to come back over and over again. This 18-hole team scramble will kick off the season for many, so we’ll include a golf ball and 2 drink tickets for every player that comes out to enjoy this one. This event has a $45 entry fee (public), which will cover the cost of golf, lunch during the round, snacks after the round, and prizes for the top two teams as well as hole-in-one prizes and a closest-to-the-pin competition. You can still register HERE. This fun and filling for all ages event will mark the start of our year of brunches. We’ll have a craft corner and an easter egg hunt for the kids to enjoy. There will be a buffet featuring breakfast staples as well as some lunch favorites. This reasonably priced buffet will be one you don’t want to miss, so register your group today HERE. This 9-hole event is designed for two-player teams of sharpshooters. The winning team will win a prize, and there will also be closest-to-the-pin prizes for every hole. This event is $35 per player (public), and will include a box-style dinner before the round and desserts after the round. You can register now HERE.